Feeling the Urge to Purge? With the KonMari movement in full swing this year, who isn’t? Let’s capitalize on that urge with a new Challenge! Consider this your engraved invitation to join the 40 Bags in 40 Days Declutter Challenge. 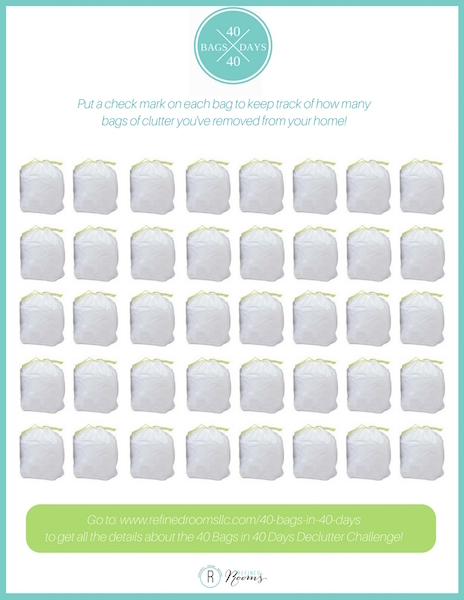 WHAT IS THE 40 BAGS IN 40 DAYS CHALLENGE? 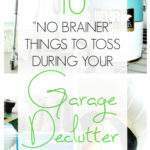 It’s a declutter challenge where you commit to removing 40 bags worth of household clutter within a 40-day timeframe from your home. The Challenge started as a lenten challenge so it typically begins on Ash Wednesday and ends the day before Easter. If you did the math, and you’re thinking, “That’s more than 40 days,” you’d be correct! Apparently, we get a day off from lenten resolutions on Sundays, so each week, you’re granted one day off from the challenge. So in keeping with the 2019 lenten calendar, we’ll begin the Challenge on March 6th and end it the day before Easter (April 20th). 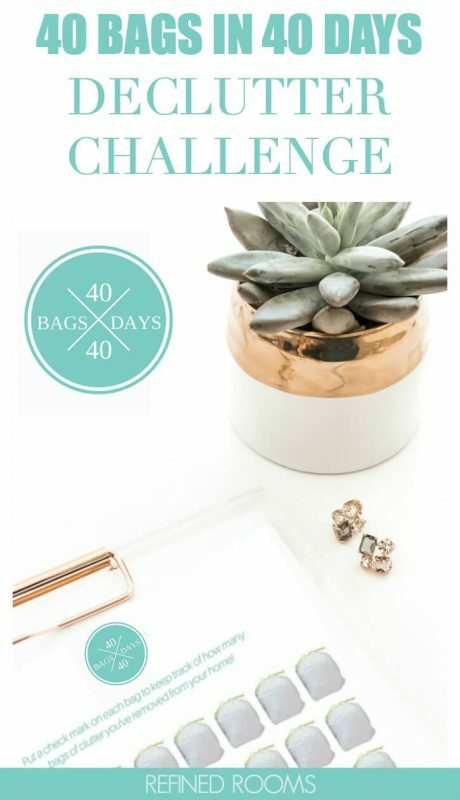 WHY IS THE 40 BAGS IN 40 DAYS CHALLENGE SO AWESOME? 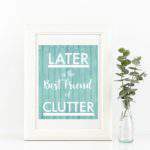 If you’ve attempted to declutter before but haven’t made much progress, a short-term challenge like this can be just want you need to kickstart your decluttering efforts. If you observe lent but struggle with what to “give up”, you can focus on giving up your clutter to meet your lenten obligation. What defines a “Bag”? You aren’t required to fill a certain sized bag. In fact, you don’t even have to use a bag. Any size or shape of container is okay. It’s up to you to determine what makes sense. Do I have to donate everything? Nope! 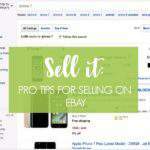 You’ll likely end up with items that are trash, items that can be donated, and items you want to sell. All of it counts (even the trash)! Can I work ahead to build in some days off? Absolutely. In fact, remember that you technically have 46 days between Lent and Easter eve, so there are built-in day off days each week during the Challenge. If you’re feeling super motivated and on a roll, you might end up filling up several bags on a particular day. In that case, you’ve carved out some wiggle room to take a few days off when life gets in the way. Just make sure that you’ve removed 40 bags out of your house by the end of the Challenge period. How can I stay motivated and connect with others doing the Challenge? Join the Refined Rooms Facebook group and share your successes and challenges with others who are participating! Also, share your progress on Instagram using the hashtag #RR40Bags40Days. 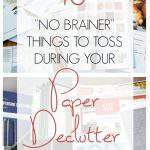 Write down what areas of your home you plan to declutter. Keep this list handy so that you can refer to it during the challenge. 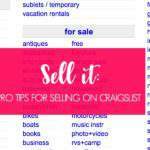 Complete the decluttering prep tasks outlined in this post (gather containers, designate a staging area for donations/sellable items, decide where you’ll donate/sell your items). Become a subscriber. 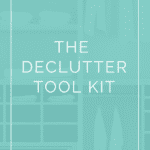 Subscribers have access to a many decluttering goodies housed in my resource library, including this 40 Bags Challenge Tracker printable & the Declutter Tool Kit). 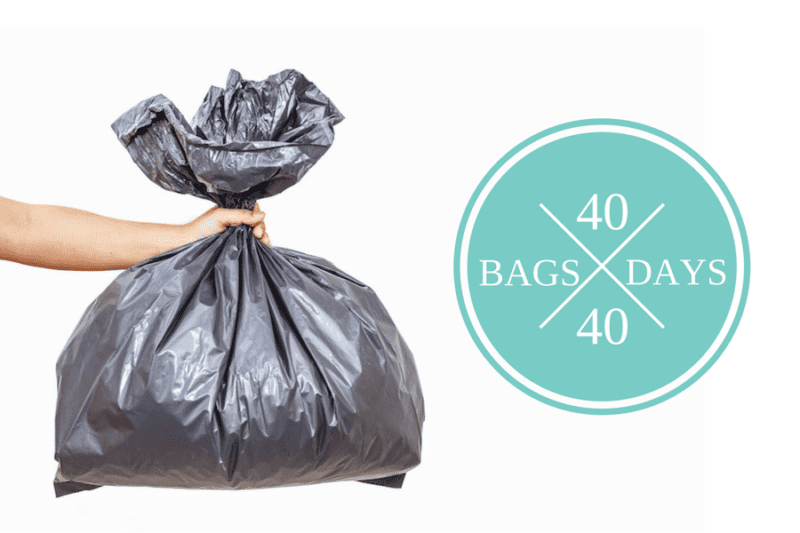 Will you join me for this year’s 40 Bags in 40 Days Challenge? 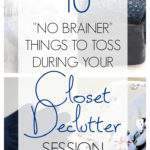 Comment below with the room you plan to declutter FIRST! The timing is ,as Tony the Tiger would say, “Grrrrreeaatttt”! Here it is March 23, 2019 AND I still have Christmas decorations declaring homestead rights in bags/bins, on & under my table and stacked on the floor of my dining room. That’s my starting point. Thanks for the tips and encouragement. LOL Jean! You are so welcome. And I love that you have such a concrete plan for starting. That’s the hardest part! YES- please make it a no (plastic) bag challenge. Goodwill loves boxes or NO bags. Thanks! 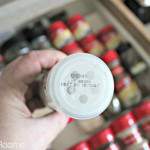 Julie, the name of the Challenge is coined by others…not original to me 🙂 Again, use whatever container you like to contain the clutter! I only wish it would not be plastic bags. Our fellow creatures in air and sea, as well as our water and soil are destroyed and poisoned by plastic by the millions. And each one of us humans already has 28grams of plastic in us, let alone in mother’s milk. So, please, if some of you could use other containers, card board boxes (from grocery or liquor stores) or use bigger items you want to declutter to hold smaller ones, or a coat or T-shirt to bundle other clothes in…..
Billy — it doesn’t have to be plastic bags at all. 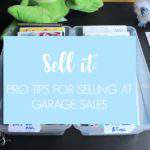 In the Challenge details section of the post, I mention that you can use any container (box, paper bag, whatever works). I love your other ideas for bundling items. Thanks so much for sharing your ideas! Indeed! 10 bags would be a great start! Start with that goal and if you feel inspired, keep going! I’m in. I did a large bag yesterday and a small one today. I am determined to do this. 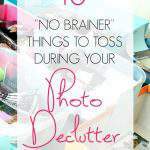 What type of clutter did you tackle first?? Awesome Lorelei! I’m tackling my home office bookshelves today! I should do this. Thank you for sharing with us at #HomeMattersParty . We would love to see you again next week. Why Thanks Sahana! Yes, come join the Challenge! I could do with this challenge to get rid of more clothes and kitchen and larger stuff. Go for it Emma! 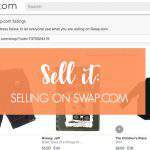 Come join us in the Facebook group! Awesome Trish! Be sure to join the Facebook group and keep us informed about your progress! I plan on starting in my closet. I have clothes and shoes that I no longer wear that need to go so I can make room for new clothes in the correct size. Awesome Katrina! Check in on the Facebook group and report on your progress! I must declutter my kitchen first. I am excited about this challenge! 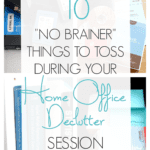 Decluttering my house is way overdue and it’s something I keep putting off. I NEED accountability to stay motivated. Shaye, I tackled my kitchen over the holiday break (had my Hubby to help me go through each and every cabinet and drawer). Can’t tell you how good it feels! Be sure to join the Facebook group and report your progress each day to get that accountability piece that you need! I have so much Crudder (how my 3-year-old granddaughter pronounced it 18 years ago) that I could do 40 bags a day if I had the energy!! I’m going to start with the clothes in the bedroom…SO many clothes and only one little body to wear them. Yet I wear the same 5 things all the time!! I guess that’s what happens when you retire, maybe… All I know is I have a ‘fashion history’ of my life that dates back 45 years and six sizes. Time to get rid of that cool jeans skirt I wore in junior high! !